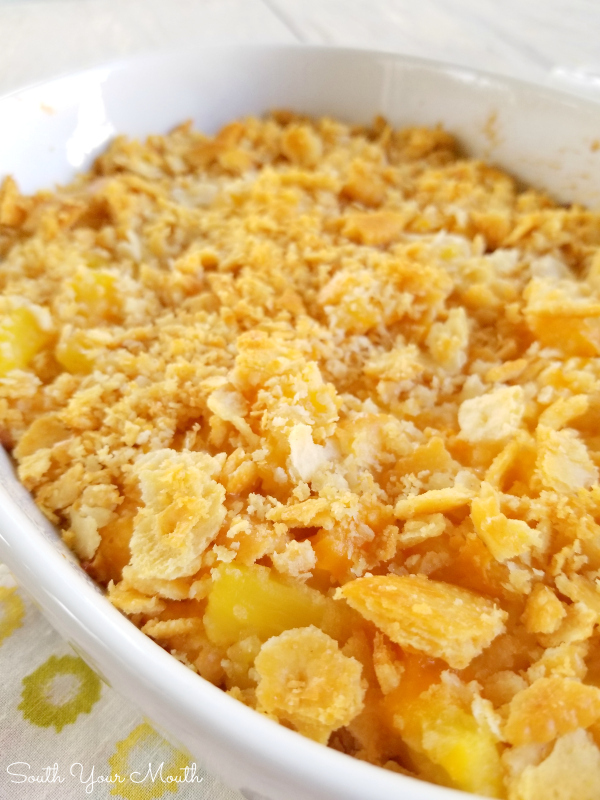 A sweet, savory, Southern casserole recipe with pineapple, buttery Ritz crackers and sharp cheddar cheese traditionally served with baked ham. Man, DANG, I wish I’d gotten this recipe out to y’all before Easter! I can’t believe I’ve never shared it with you before because it is a huge favorite with my entire family. When we have ham, we MUST have Pineapple Casserole with it. Even my meat-and-potatoes husband has to have it. There’s just something about the sweet pineapple and cheddar cheese that just goes with ham. Me: OK, I’ll do Easter at my house. Mama: What can I bring? Me: Not a thing. I got it. Mama: What are you going to cook? Me: I don’t know yet… whatever I can pull off between now and then. We usually sit down a week or two before a big “eating” holiday and map out everything we’re going to cook, who’s gonna cook what and when it’s gonna get cooked. But with the way things have been going around here, I just stuck with the basics. And I bought a frozen pie. I did feel a little better about that when Mama showed up at the house with a coconut cake she bought at Sam’s. Not to knock the cake, though, that sucker was delicious! My pie? Not so much. Anyway, when Mama and Daddy arrived Sunday I got so tickled because she came in toting a sleeve of crackers, a block of cheddar cheese and a can of pineapple and I knew exactly what it was for! 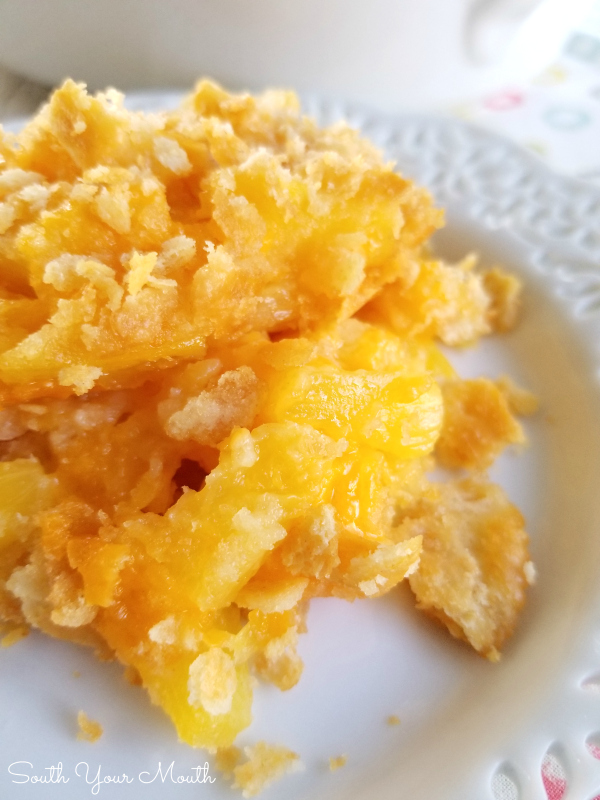 We might be winging Easter dinner but Mama was going to make sure we had Pineapple Casserole! I know, I know, I know... where's the Macaroni & Cheese, right? Well, since I was making the cheesy scalloped potatoes, I didn't figure we needed another cheesy, starchy side dish. And I have to tell you, I felt sketchy all weekend about not having a green vegetable on the table but, well, I just gave slap out of steam. 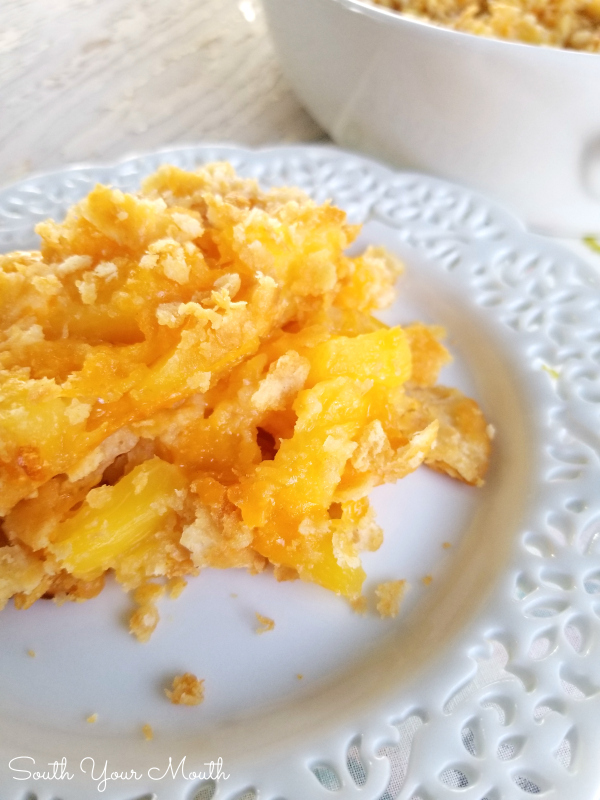 You can use pineapple chunks or tidbits in the Pineapple Casserole. We usually use chunks but Mama said all she had in her cupboard were tidbits so that’s what’s pictured here. Use whichever you prefer! You can play around with this recipe a good bit. I have no idea where our recipe came from originally but it calls for 1/2 cup of sugar which I find to be waaaaay too sweet. I only use 1/4 cup but I suppose if you’re using some sort of unsweetened pineapple, you might need more sugar. There’s no wrong way to make this… as long as it holds together when you put it in your baking dish, it’ll cook up just fine! This is an AWESOME side dish for Thanksgiving or Christmas dinner! Here are some more of my favorites for serve too! Drain pineapple, reserving 3 tablespoons. Combine cracker crumbles and butter then gently stir with a fork to combine. Lightly spray a shallow 1-quart baking dish with cooking spray or rub with butter. Combine reserved 3 tablespoons of juice and flour in a bowl then mix until smooth. Add sugar, drained pineapple and cheese then stir until combined. Gently stir in 1/3 of the cracker crumbles. Spoon mixture into baking dish then top with remaining cracker crumbles. Bake at 350 degrees for 20-25 minutes or until cheese is melted and crackers are starting to brown. Serve immediately. 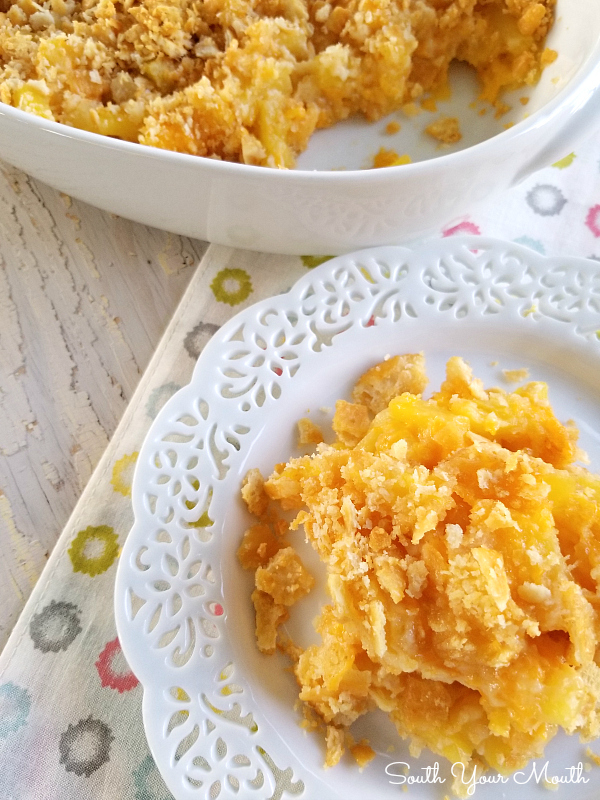 A small pie plate works great for this recipe! This recipe doubles beautifully! Just use a 13x9 baking dish then cook about 5 minutes longer. You can use pineapples in heavy syrup, sweetened juice or unsweetened juice – just add a tablespoon or two of sugar if using unsweetened. You can use self-rising or all-purpose flour – we’re just using it as a binding agent. I say to use cracker “crumbles” instead of “crumbs” because I like the crackers to stay kinda chunky – not to be crushed too fine. 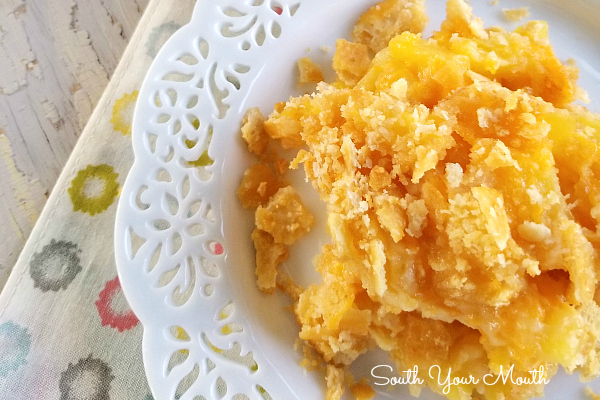 I always use sharp cheddar when I make this because I think it goes so well with the sugar and sweet pineapple. 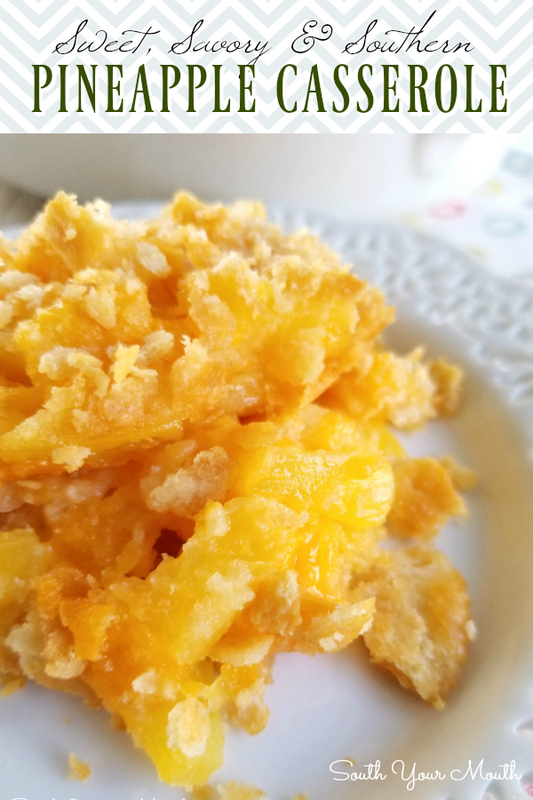 I have often thought of using cheese crackers (like Cheez-Its) in this recipe – if you’ve tried it, I’d love to hear about it! I rarely buy Ritz crackers, but for some reason decided to buy 2 boxes (BOGO) and some cheese yesterday. I even have a ham in my fridge. Pinning this! My mother in law makes us all our own birthday cake/dessert each year, and every year I ask for this. She tries to tell me this was a side dish for Sunday dinners, but I didn't care, I NEED my own and not share with anyone. I never thought to have it as dessert! I bet it would be DIVINE with vanilla ice cream! I need to try this recipe soon! It sounds delicious! Years ago my Aunt Carol brought this to one of our church Thanksgiving potluck dinners and when she explained what it was ...we looked at her like she had two heads....until we tried it. 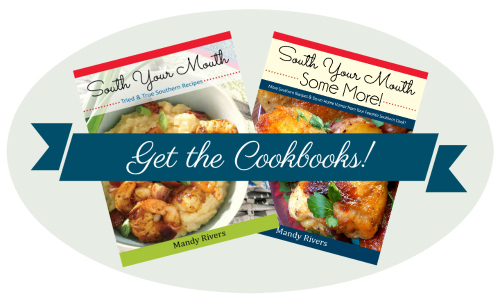 Imagine myself and my two gracious, Southern sisters trying to elegantly scurry back to where the dish was to snag lady-like seconds without causing much of a scene(impossible).Thank you for jogging that memory and sharing your recipe, I can't wait to surprise them with it at the next family dinner. This was so amazing. I wanted to try it, but then got weirded out by the ingredients. Thankfully my boyfriend convinced me we should give it a try. I can't believe how good it was. Thanks so much for sharing. It may be common in the south, but here in Canada, it is truly a unique recipe. I'm so glad y'all enjoyed it!! LOL I'm getting that on a t-shirt! WHAT WITCHERY IS THIS?! Can this be made it the slow cooker? This dish was amazing! Everyone loved it! Tripled the recipe and am wondering if you can freezer the leftovers. (Sis-in-law has asked that we bring them to New Year’s Day dinner).